Across a diverse range of businesses, there is one recurring problem for office workers in the UK. With long periods spent sitting down, sedentary lifestyles are putting employees’ health at risk. Never has there been such an urgent need for employee exercise programs – but just how much exercise are we talking, here? According to physical activity guidelines from the NHS, adults aged 19-64 require at least 150 minutes of moderate aerobic activity a week to stay healthy, as well as a minimum of two day’s strength training per week. This is more than doable, even if you are stuck in an office all day. With some simple steps and a little encouragement, employers can easily promote an hour of daily exercise for staff. After all, it’s in the business’ best interests to ensure that all employees are fit and healthy, given that long-term sickness absences cost UK companies an eye-watering £4.17 billion EVERY YEAR! Promoting exercise and a healthy lifestyle is a win-win situation for both sides. We can reduce the risks of sedentary living for employees, whilst saving businesses billions and improving the economy in the process. Employers can make great strides in promoting staff exercise by simply bringing exercise to them. 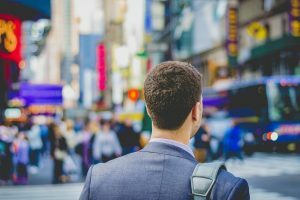 Time constraints are one of the biggest challenges facing employees – especially those who have lengthy commutes and out-of-work commitments. Draft in a fitness professional to give employees brief but beneficial workouts. A midday adrenaline boost can prevent you from hitting that 3pm wall of tiredness and reaching for the nearest caffeine hit. “Since introducing our ‘Bring Wellness’ initiative, our health and fitness program, we’ve found that staff are coming into work motivated and in a healthy state of mind. “It allows them the flexibility to get a workout in without going out of their way, which is great for us all. We understand just how important exercise is, especially within the office environment. It’s a lot of fun, too. It’s an easy solution which works wonders for staff productivity, boosting morale and giving employees the chance to build rapport with colleagues. There are a whole host of benefits to be had from yoga. For the office worker, these include; healthier and uninterrupted sleep, improved blood circulation, a boost in energy levels and enhanced mental wellbeing. It’s also easy to take into the office. All you need is your health and fitness professional, a few yoga mats and some floor space. Move a few desks – it’ll be worth it. Commenting on the benefits is fitness expert Chris James, who has been teaching yoga in the workplace for several years. As well as physical flexibility, yoga can vastly improve your state of mind according to research from the Harvard Medical School. It helps you deal with stress, can boost your mood and can potentially help Post-Traumatic Stress Disorder. So, get stretching! For those of us who are familiar with the aches, pains and niggles of sedentary office living, it’s vital that preventative measures are taken. Pilates offers a great combination of yoga-like relaxation techniques with light-to-moderate aerobic exertion. “The general consensus is that taking an hour out to do a Pilates class once a week has had a very beneficial effect. Staff return to their desks feeling energised and well rested (it’s a forced time away from their computer, whereas people can eat lunch while carrying on with work). “As a result, they feel they’re more productive after the session. “It’s also improved their posture, which is really important when you spend so much time at a computer. And they feel valued by the company so, as a result, they’re more engaged”. Recent studies by the Asian Journal of Sports Medicine showed that Pilates can be used to improve flexibility and to speed up recovery from musculoskeletal injury (in turn, shortening the time needed away from work). Again, you require very little to host a Pilates session. What’s stopping you? Short of bringing exercise to the office, this method is the next best thing. For many, actually getting to the gym is half the battle. Between transport troubles, long working hours and all the stress in-between, squeezing in gym time can be tricky. By offering discounted gym memberships to employees, you’re making it a whole lot easier and incentivising staff to get a workout in where possible. Research from Britain’s Healthiest Workplace recently showed that high stress and a lack of physical activity are causing industries to lose up to 27 days of productive time per employee, each year. As an employer, you’re naturally looking out for productivity levels as well as the wellbeing of your staff. It’s been proven by Stanford University that regular exercise immediately boosts brain cognition and performance. 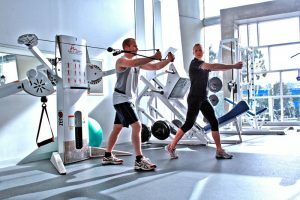 For this reason, gym memberships are a great way to improve employee fitness while, at the same time, ensuring that the work they produce is of the highest level possible. You could work out an agreement with a local gym, offering your business’ services in return for discounted memberships. It’ll certainly be cost-effective in the long run. You might feel like you’re always being told to drink water. It settles a wide range of ailments and it’s no surprise that it’s often the go-to solution when you’re feeling a little off colour. If employers installed a water cooler, that would go a long way in encouraging consumption throughout the office. Offering free water prevents dehydration – obvious, yes, and still many neglect it and end up flagging later in the day. 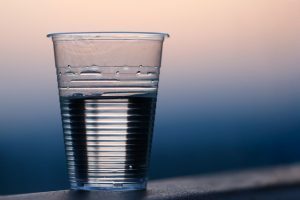 In fact, research from the University of Connecticut showed that even mild dehydration can adversely affect mood and how our mind and body perform generally. The problem is that we are dehydrated well before thirst begins to set in, meaning that we should stay well-watered throughout the day if we’re to maintain a consistently high level of productivity. To find out more, we spoke to Dr Emma Derbyshire, public health nutritionist and adviser to the Natural Hydration Council. “Water is often regarded as the ‘forgotten nutrient’, our brains are about 70% water and our bodies around 50-75% water, depending on age and gender. “It’s not surprising, therefore, that being inadequately hydrated can affect how we feel and perform at work. “Research has shown that even a reduction in dehydration levels of as little as 2% of body weight can influence mood, lead to greater feelings of fatigue and reduced levels of alertness. The European Food Safety Authority recommends a total water intake of 2.5 litres for men, and 2 litres for women per day (via food and drink). Ideally, 70 to 80% of this should come from drinks and 20 to 30% from food. Encourage your employees to start the day with a cold glass of water. Coffee may be the first port of call for many, but overdoing it on caffeine will only set you up for a drop later. Water offers a stable, clean energy boost. Installing a water cooler or providing free bottled water will ensure your employees are well hydrated and ready to work. Headaches are common in the average office space. If you find yourself burdened with a heavy head toward the end of the day, then there’s a high chance you’re dehydrated. Take a break with a cold glass of water. It’s scientifically-proven by the University of North Carolina to help your headache by fuelling your system with vital nutrients, allowing more Oxygen to reach your brain. It’s all about the minor changes. You don’t have to run a marathon every week to be healthier (although this would help, admittedly!). With some small lifestyle changes, your employees can make huge health improvements in the long run. All it takes is a little encouragement. Imagine if, every day, your employees took the stairs to the office instead of the lift. That’s X number of steps added each day, five days a week. 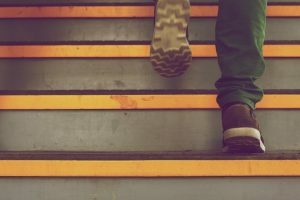 This should keep your business’ sick day payments down to a minimum – because, according to research from the University of Oxford, those with sedentary lifestyles showed a lower mortality risk of 46% after increasing their daily steps from 1,000 to 10,000. You can even promote the 10,000 steps a day challenge – set up a chart for staff to log their daily amount. Incentivise this with an end-of-month prize! To boost uptake of the challenge, you could provide your staff with Fitbit watches to monitor their steps. 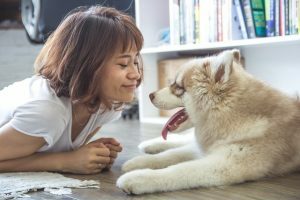 We spoke to Georgina Richardson, Head of Operations at digital house and pet sitting business Trusted Housesitters, for some words on employee incentivisation. While staff perks and incentives may seem costly in the short term, they can drastically bolster staff happiness and morale in the long-run. There are a lot of options to help your employees exercise a little more. This is one of the cheapest (scaling the stairwell of your building is complete and utter free exercise!). Sitting in a chair all day can be bad, so it’s vital that your employees take every opportunity to get on their feet. The lunch hour is a perfect opportunity for them to take a breather. I n the fresh air, staff can walk their lunch off and chat with colleagues, or take some much-needed alone time away from the bustling work space. Depending on where your office is based, you can take in the surrounding sights. There’s a park nearby? Brilliant – take an afternoon stroll and recharge your batteries. Let’s not forget the mental benefits of a lunchtime stroll – recent research from Curtin University, Australia showed that workplace stress can be greatly alleviated by a simple lunchtime saunter (or in this case a brisk walk to really get the blood pumping). Your productivity should see some definite improvements. By stepping outside of the office space, you’re actively taking steps to engender a fresh state of mind. You’ll return to the office invigorated and ready to smash through your workload. 6. Exercise for charity – it’s for a good cause! You can get your employees to represent the company for several charity events – be it sponsored walks, marathons or even a fun run. The whole workforce can take part and make it a real joint effort, getting some quality team-time in as well as some exercise too. Aside from the clear physical benefits, staff charity events are great opportunities for your team to get to know one another. They can motivate each other during a particularly gruelling hill climb or provide some healthy competition in the marathon. It’s quality time spent with your team, so there are benefits to be had all-round. Staff could even take part for a charity that is really close and significant to them. Offices are getting more and more innovative all the time. From trendy décor to new and progressive furniture solutions, it seems that the office space is a fitting domain to test the water and see how greater mobility can help to improve productivity. Standing desks are the new kids on the (office) block. Getting your work done upright can send productivity levels through the roof, boosting staff morale along the way. 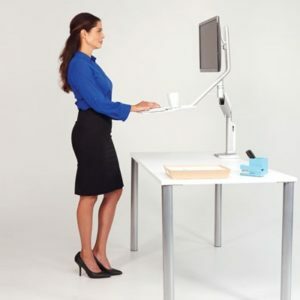 According to a recent study from Monash University, alternating between sitting and standing positions can drastically improve fatigue and ease musculoskeletal discomfort. To get to the bottom of this, we spoke to Georgina Richardson of Trusted Housesitters. The company have seen some notable staff improvements since installing standing desks on their premises. 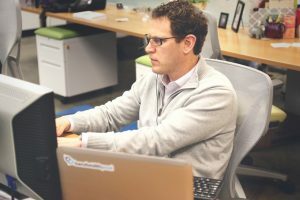 “The new standing desks are definitely making us more active and they’re giving the office a 21st Century, digital feel. You’re giving staff the option to use standing desks, while keeping the usual setup that they’ll be used to. Employees will appreciate being given the choice as they can experiment with the new desks and see how they work. Standing desks are a shiny new toy for a lot of companies looking to shake things up. It’s worth giving them a try! 8. Get an office dog – they’ll need to be taken for walks! Aside from bringing a pet into the office as a mascot and general morale-booster, pets can be a great way to get staff out into the open. If you bring a dog in, for example – someone will have to be on walk duty. You can assign weekly duties to staff, taking it in turns to get some fresh air. As an added extra, having a pet around the office will shake up the tedium for some employees. Morale will be lifted and, according to research from the Virginia Commonwealth University, stress levels could fall. Having dogs around also facilitates the social life of the office space. You get to meet members of other departments and staff you’ve only encountered through email – all this, because of some simple dog-talk. But remember, bringing dogs into the office can pose health and safety risks. Nestle recently became a dog-friendly workplace, and have ensured that all dogs go through what’s called a ‘pawthorisation’ process to make sure the dog is suitable. Also, not all staff will be ‘dog-people’ and might not appreciate the presence of dogs – so keep this in mind. A quick survey amongst your workforce should be enough to assess whether it’s a good idea. You’ll be killing two birds with one stone, here. By providing bike storage on your premises, employees will benefit from cycling to work rather than taking the car. It’s cheaper, healthier and – here’s the best bit – it’s better for the environment. 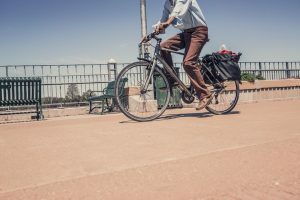 With vehicle emissions lowered, cycling to work offers some quality, unavoidable (you need to get to work!) exercise. You can’t go wrong. The early blasts of fresh air will be great for staff, and nobody likes being stuck in traffic jams, so cycling to work is ideal. Recent studies by the University of Cambridge show that the benefits of cycling and walking largely outweigh the risks posed by greater exposure to air pollution – perfect for offices in bustling, metropolitan areas with high levels of city smog. There’s so much that you can do and, as the employer it’s down to you to implement real, healthy changes. Take the above steps into consideration and ensure that your employees are fit, healthy and happy coming into work. It’ll pay off in the long-run!